This was a disorienting experience. Stood on a terrace with just the oldest lad, low down in a tiny stadium, behind the goal and watching Rovers enjoy (or endure) 75% possession in the first half. I'm not used to any of that. The atmosphere amongst the Rovers fans was supportive for a change. The whole toxic mood around the useless Owen Coyle was getting me down. Howling at the Venky's is morally justifiable and righteous, yet seems so helpless. 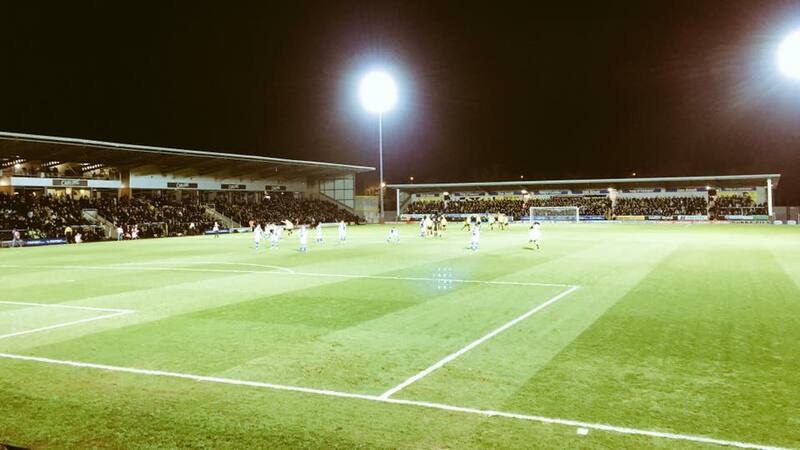 Burton manager Nigel Clough was right when he reflected on how outclassed his side were. It's been so unusual for Rovers to dominate a team the way they did in that first half. Yet despite some excellent crosses by Liam Feeney, there was little to show for it, but an own goal from a lethal Charlie Mulgrew corner. Another new ground chalked off. I make it the 146th ground I've watched football on, 82nd out of the Punk 92 and 71st of the current 92. Next target is Brighton on the 1st of April, which will be a sweep of this season's Championship. Who knows which new ground I'll get to visit with Rovers next season.